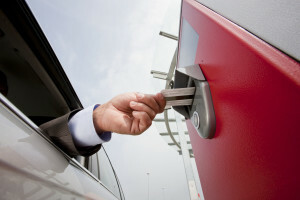 At Designa, we are redefining the understanding of the parking technology field. Our highly trained engineers contribute their vast knowledge and innovation, so we can guarantee our customers the best possible products and technology. Each ABACUS system is carefully tailored to the customer’s specific needs, making almost every system unique. The system has a modular technical structure, a cutting-edge terminal controller and is based on the consistent use of Ethernet standards, meaning that all system components are open for expansion, integration and networking. As a result it is possible to easily incorporate external alarm signals, information systems or databases into an ABACUS system. Plus, by using VPN (virtual private network), large-scale structures can be built extremely cost-effectively and large-scale structures can be built extremely cost-effectively. Heart and brain in one. The multicon. The brain is at the heart of ABACUS. Multicon, the intelligent core module for processing tickets and debit or credit cards, is redefining reliability. Key features are its optional range of functions and its extraordinarily high operating speed. But we would not be Designa if we had not also paid special attention to this module’s ease of maintenance as well as all of its innovations. The quick and tool-free access to the ticket guide is therefore just as important to us as the maintenance-free, self-sharpening circular blade for cutting the paper tickets. Two product families, one success story – 120 & Blue Edition. While the 120 product family still guarantees reliability and efficiency, our BlueEdition impresses with additional services such as significantly reduced power consumption and an intuitively structured operating concept, best experienced with our revolutionary automatic pay station ONE. Our goal has been, and will continue to be, to consistently utilize technological change that will benefit our customers. 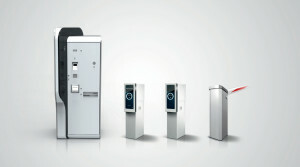 ONE – the unbeatable pay station from DESIGNA. With the new ONE pay station, the perfect synthesis of design and functionality has made its way into the pay station marketplace otherwise dominated by the grey standard. ONE now allows Designa’s passion for innovation to become externally apparent. An unparalleled harmonious design ensures a clean and modern appearance with a convenience of operation. Using self-explanatory icons on the gleaming front side panel, users are navigated step-by-step to the next item from the top downwards. Information and interaction are clearly separated from each other. The result is a completely different understanding of what operation involves. With the services it provides, the ONE pay station thus defines a new standard all its own. In & Out Terminals – efficiency lies in calmness. Our In & Out entrance/exit terminals have the lowest power consumption in their class by far. The new terminals are based on our tried-and-trusted ABACUS operating system and thus all state-of-the-art RFID and networking technologies. The innovative energy management system has the machine stay in sleep mode for as long as no vehicle activity is registered, and it only wakes up when a vehicle approaches the terminal, effectively reducing the energy required.